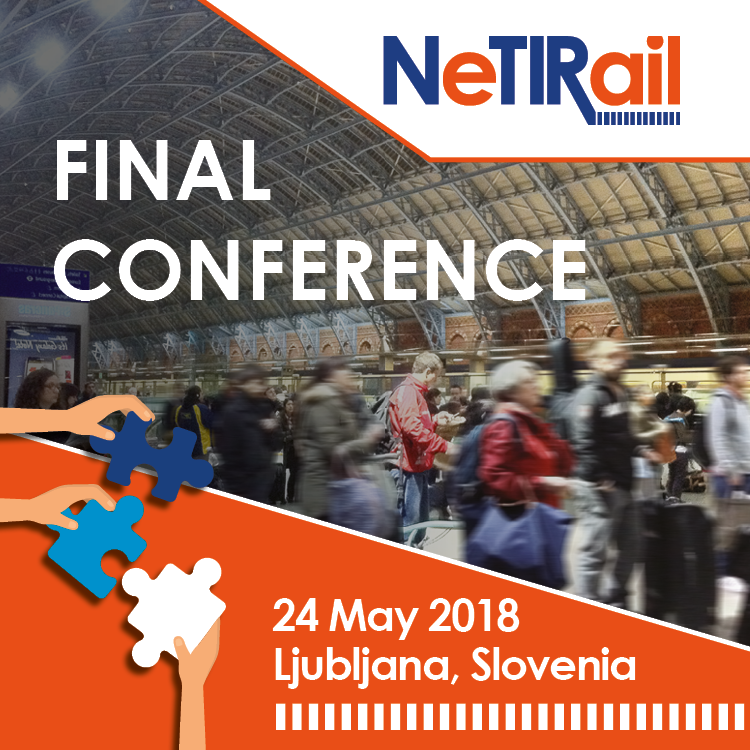 After the final conference organized in Slovenia, the dissemination impact of the NeTIRail-INFRA project was extended by a workshop in Ankara, Turkey. A two half-day workshop was organised on May 29th and May 30th. The workshop was performed in Turkish to get more attendance in the Turkish railway sector. As expected, most participants came from the Turkish State Railways (TCDD) and Raysimas Co. (private sector). There were more than thirty participants. The workshop was organised to explain the general concepts of Netirail and the presentations prepared for the final conference were translated into Turkish. The first day of the workshop was dedicated at explaining the Netirail project and presenting the results of the project. The second day of the workshop was more specialised on activities performed by TCDD and INTADER. During the workshop, NeTIRail website, published reports and contact details were amply shown to enable participants to learn more about the project. The NeTIRail-INFRA project is a 3-year, 5.4m€ collaborative R&D project funded by the European Commission, sponsored by INEA within the Horizon 2020 programme. NeTIRail is coordinated by The University of Sheffield, and has a total of 13 partners from 8 different countries. The NeTIRail-INFRA concept was based on designing railway infrastructure and monitoring tailored to the needs of specific lines to ensure the most cost effective and sustainable solution for different line types and geographical locations. There is particular emphasis in the project on lesser used lines which are marginally economical and at risk of closure or require substantial public subsidies. As well as the lesser used lines the project also considers capacity constrained and freight dominated lines. And therefore, as well as identifying and developing new technologies, the project has also focused on the societal and economic benefits of marginal routes and the impact of the project’s innovations to society and the economy. Produce a GIS based decision support tool to aid asset managers in identifying the most appropriate technologies for their lines. From the Central Train and Bus Station and Shuttle service: less than 5 minute walking. The closest airport to get to Ljubljana is Ljubljana airport. Other airport connections are with Zagreb, Trieste or Venice airports. For the further way along the road to Ljubljana it is possible to take a bus or shuttle service. For transfer from Ljubljana airport there are good connections with Ljubljana by bus or shuttle services. 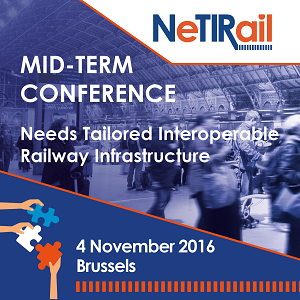 NeTIRail-INFRA will be showcased at TRA 2016 on the UIC Stand. Take this opportunity to discuss with project partners at the UIC stand in the Gallery Expo as indicated in the map below. NB: The Early Bird registration rate expires on 15 February 2016. This means that you have just under one week to benefit from almost 40% off the full price! 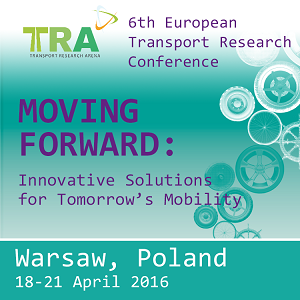 We look forward to seeing you in Warsaw! The conference to be held on 4 November in the very heart of Brussels will update partners on the progress in the first 18 months of the project, presenting some of the early results and the plans for the remainder of the project, as well as discussion regarding future development and collaborations. 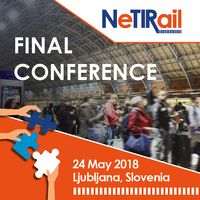 The conference also intends to address the commonalities between the NeTIRail-INFRA project and the Shift2Rail programme, and identify areas for further collaborations.